The IEEE 802.3 Ethernet Working Group has approved 802.3bs - Standard for Ethernet Amendment: Media Access Control Parameters, Physical Layers, and Management Parameters for 200 Gbps and 400 Gbps Operation. The new specification cover the operation of 200GbE and 400GbE across various interconnects, including applications such as cloud-scale data centers, Internet Exchanges, co-location services, service provider networks, and other bandwidth-intensive application spaces. The CWDM8 Multi-Source Agreement group released a new technical specification for 400 Gb/s optical links up to 10 km over duplex single-mode fiber (SMF). The group promotes the use of 8-wavelength Coarse Wavelength Division Multiplexing technology.in modern data centers and to support the deployment of 12.8T Ethernet switches and other advanced networking equipment with 50G SERDES. Current members of the CWDM8 MSA are Accton, Applied Optoelectronics, Barefoot Networks, Credo Semiconductor, Hisense, Innovium, Intel, MACOM, Mellanox, Neophotonics, New H3C Technologies, and Rockley Photonics. The new specification, which is available at the organization's website, represents the industry’s first 400G 10 km interface specifically targeted for implementation in next-generation optical module form factors such as QSFP-DD or OSFP for high-density data center networking equipment. The new 10 km reach specification joins the 2 km reach 400G specification that the MSA Group released in November 2017. These 400G CWDM8 optical interfaces were developed to support a wide range of high-bandwidth networking applications in data center, campus, enterprise, and metropolitan area networks. 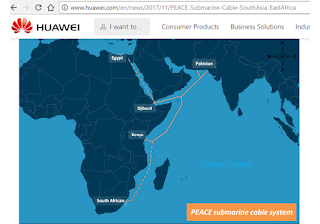 Marine survey work is underway for a new Pakistan East Africa Cable Express (PEACE) submarine cable that will connect South Asia with East Africa, as well as offer the shortest route from western China to southern Europe when combined with terrestrial fiber between Pakistan and China. Huawei Marine is the lead vendor for the project. The PEACE subsea cable will have a total length of 13,000km and is targeted to enter service by the end of 2019. China Construction Bank is funding the project. Tropic Science Co. is a signatory partner. The City of Dallas is working with Ericsson to install and host an Advanced Traffic Management System (ATMS) that promises that ability to aggregate and analyze diverse, real-time data from traffic sensors and cameras. This will allow the city to dynamically control traffic lights, school flashers and message signs to optimize traffic flow. Work began in late 2017 and plans call for the system to be fully operational by 2020. TELUS has selected Ericsson's MediaFirst TV Platform to power its next-generation TV service. The carrier recently launched its new Optik TV app to almost one million customers in British Columbia, Alberta and Quebec. Financial terms were not disclosed. The Ericsson MediaFirst TV Platform leverages a cloud architecture for the creation, management, and delivery of next-generation Pay TV. It includes advanced analytics tools which enable operators to target relevant content and promotions to viewers, increasing revenue opportunities and helping to reduce churn. 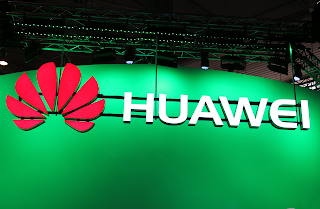 China Telecom completed the commercial rollout of a 100G ROADM backbone network on the middle and lower reaches of the Yangtze River serving Jiangsu, Zhejiang, Shanghai, Hubei, Anhui, and Jiangxi. 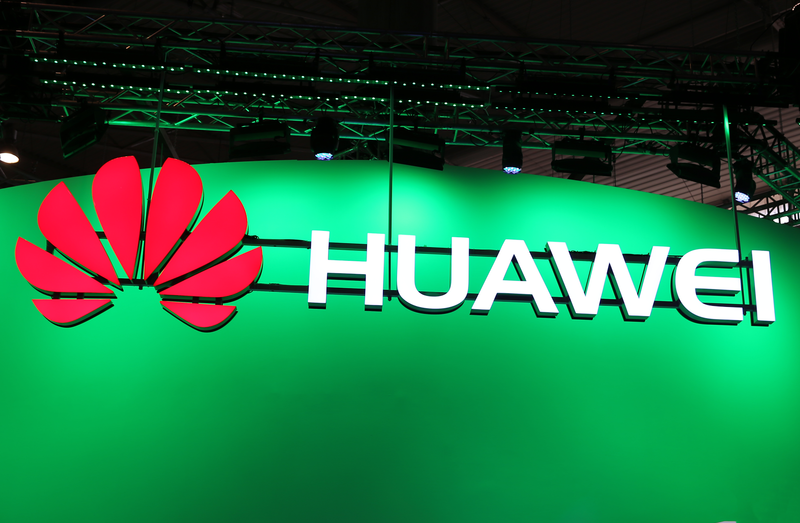 Huawei was the exclusive network solutions provider. The network, which is now supporting over three hundred 100G services, is based on ROADM optical mesh networking. The rollout was completed in 5 months. "The dynamic interconnection of the first ROADM backbone network in China initializes the strategic upgrade from electrical nodes to all-optical nodes and from point-to-point links to optical-layer mesh networking. This not only breaks the electrical bottlenecks of network node capacities, but also symbolizes the transition from all-optical network 1.0 (all-optical fiber networks) to the new era of all-optical network 2.0 (all-optical automatic grooming)," stated Wei Leping, Deputy Director of the Science and Technology Committee of the Ministry of Industry and Information Technology, and Director of the Science and Technology Committee of China Telecom. 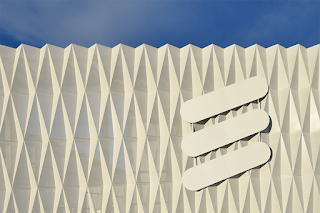 In late December, Ericsson signed a credit agreement with the Nordic Investment Bank (NIB) for US$220 million, maturing in 2023, and with AB Svensk Exportkredit (SEK) for US$150 million, maturing in 2025. Of these new funds, $98 million will replace credit with NIB that was set to mature in 2019. 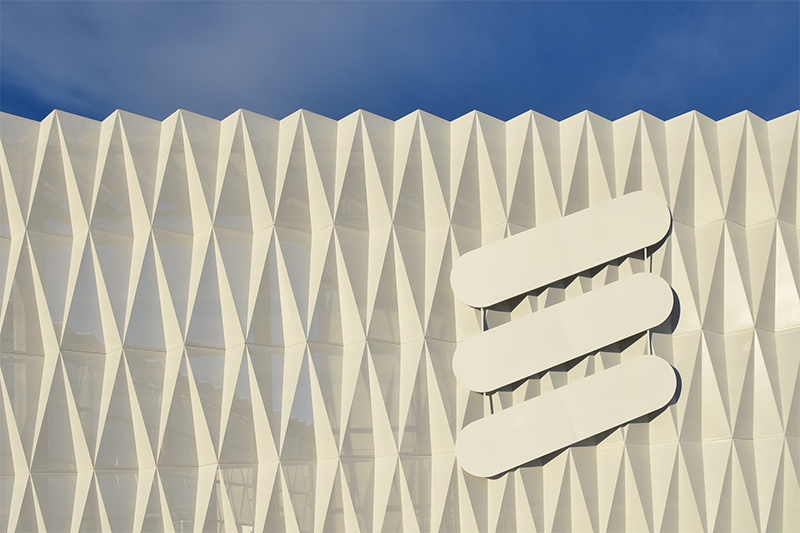 Ericsson said the remaining amount will be used to strengthen its balance sheet and to support R&D activities to further develop 5G and other mobile innovations. Ericsson invested SEK 31.6 billion in R&D in 2016 (US$3.9 billion). "As part of our focused strategy, we are increasing our investments to secure technology leadership in 5G, IoT and digital services. Already now we have 38 operators engaged with us on developing and preparing for 5G networks," stated Erik Ekudden, Ericsson Chief Technology Office. 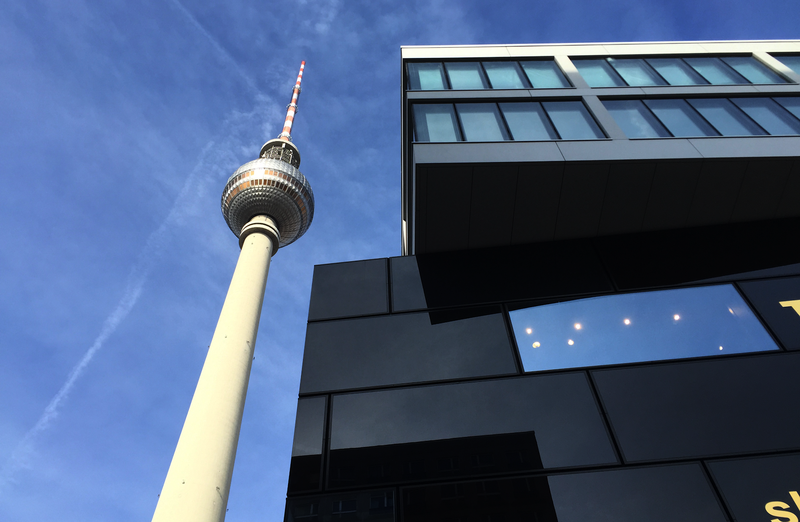 Will Europe regain mobile leadership with 5G? At the end of November, Verizon confirmed plans to launch 5G residential service beginning in Sacramento, California. By the end of 2018, Verizon should have commercial 5G fixed line residential services running in half a dozen cities. The timing is a little bit slower than what was suggested at Mobile World Congress this year, but it is is a very aggressive rollout plan. AT&T has been testing fixed line 5G services in several markets too, and we can expect a similar early entrance into the 5G commercial arena. So, 5G will be coming to U.S. markets over the next 18 months with a credible use case and business plan. Even before these two operators stake their claims of being the 5G deployment leader, we should expect the Korean operators to showcase 5G small cell technology at the PyeongChang 2018 Winter Olympics, although this event – assuming it is not disrupted­­­ by the threat of war – perhaps will be more of a public demonstration rather than a commercial deployment. ­There are, of course, many publicity events for 5G occurring around the globe. As previously reported in this journal, NTT DOCOMO has various 5G experiments underway in its home market, including 5G for autonomous vehicles. This application could turn out to be one of the best use cases for 5G given the need for extremely low latency when navigating a car in city traffic. So, Korea and Japan are the likely first movers with 5G. The question has been raised by many: will Europe regain its leadership in mobile technologies with 5G? This topic was the subject of a meeting of EU Telecom ministers held last week in Tallinn, Estonia. 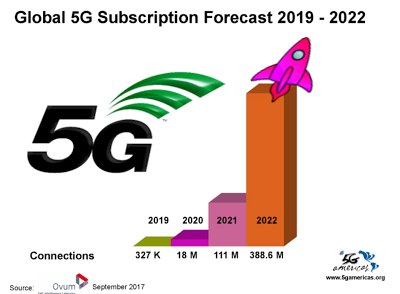 The outcome of the meeting was the adoption of a 5G action plan -- or roadmap – aimed at spurring widespread deployment of 5G in EU nations by 2025. Naturally, there is no budget assigned to make it happen – that will be up to Service Providers to incorporate into their CAPEX plans. 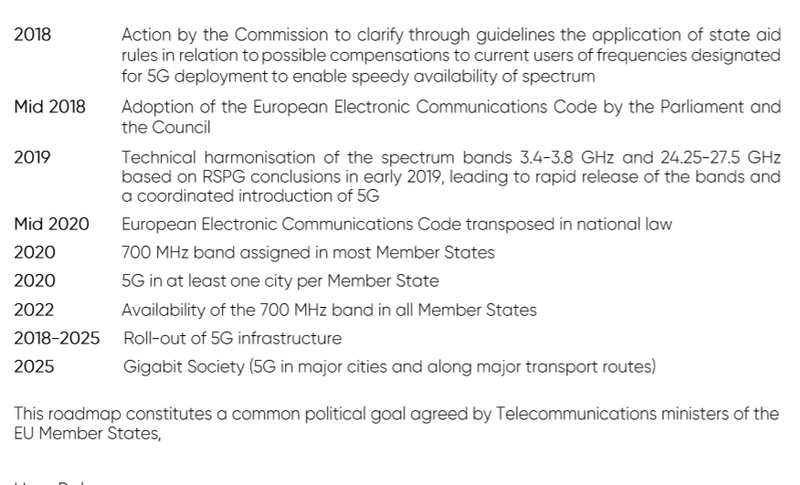 The roadmap is simply the next steps that the EU plans to take to harmonise spectrum bands for 5G. The LTE penetration rate for North America was 94 percent in the third quarter, with 341 million connections compared to the population of 362 million in North America. In comparison, Western Europe was found to have a 57 percent penetration for LTE. Given that LTE commercial service rollouts began in 2011, it is somewhat puzzling that nearly seven years later, such a significant percent of the population in Western Europe either hasn’t gotten around to updating to a 4G-enabled phone, or simply hasn’t been interested in subscribing to an LTE plan. The reason most often stated for this slow adoption has been cost. Data plans in Europe are simply costlier and more restrictive that in other developed markets. As we’ve seen recently in India with the Reliance JIO 4G launch, if unlimited data is offered at the right price, consumers will respond in droves. There was an increase of 838 million new LTE subscriptions in one year ending September 2017. Global market share for LTE achieved 32 percent at the end of the third quarter of 2017, an increase of almost 10 percentage points in one year. As of mid-November, there were 562 commercial LTE deployments worldwide, while 211 of those operators have already evolved to LTE-Advanced (TeleGeography). In Western Europe, LTE penetration is at 57 percent penetration. Latin America nearly doubled LTE connections to 179 million from 99 million year-over-year at 3Q 2017 increasing by 80 percent. LTE’s market share increased from 14 percent to 26 percent in twelve months out of a total mobile subscription base of 691 million. As of mid-November, there were 108 commercial LTE networks across the Latin America and the Caribbean region of which 20 are LTE-Advanced deployments with Carrier Aggregation (TeleGeography).